Maya Mikhailov is a nationally recognized leader in mobile innovations and retail solutions. Since founding GPShopper, she has worked with Fortune 500 retailers and brands to craft mobile strategies that have revolutionized the way they do business and interact with consumers throughout the shopping experience. Maya is an industry expert and educator on the topics of retail mobile trends, mobile strategy, user engagement and mobile fashion trends. Maya was named one of Mobile Marketer’s “Mobile Women to Watch,” the DMA’s “Guru of Mobile,” and was selected by the DoD to lead a cross-departmental education course on mobile best practices. 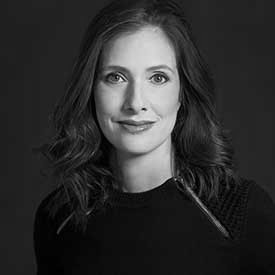 She has served as an Adjunct Professor at NYU, focusing on the highly-personalized evolution of marketing and advertising through mobile technologies. Maya has been a featured speaker at The Digital Money Forum at CES 2017, Luxury Interactive, The Content Council, Main Stage Panel Money 2020, CTIA, New York Women in Communications, Inc. (NYWICI), Shop.org, COSMOPROF (Beauty Industry Association), Internet Week NYC, Bloomberg, FOX Business News and the Fashion Institute of Technology. Among her most recent published interviews are Bloomberg Technology, Bloomberg Radio, Business Insider, Quartz, MarketWatch, Huffington Post, Women’s Wear Daily (WWD), Inc. Magazine, Apparel Magazine, Minneapolis Star Tribune, New York Business Journal and San Francisco Chronicle.